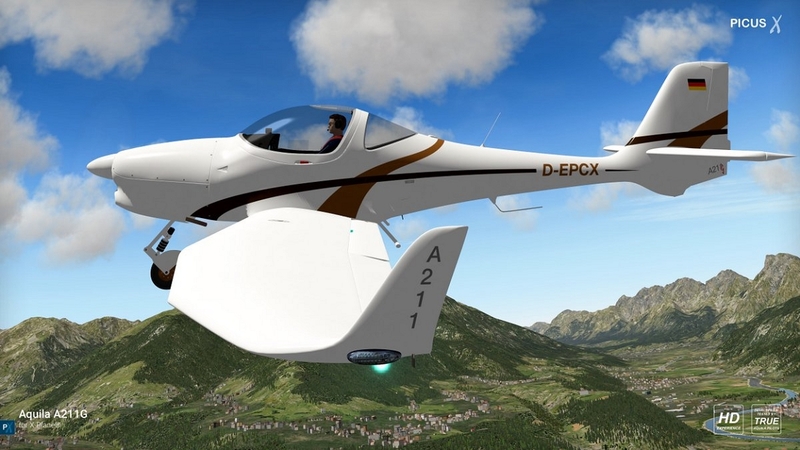 The Aquila AT-01 with its two model variants A210 and A211 is a two-seat Light Sport Aircraft (LSA) entirely built from carbon and glass fiber reinforced plastics. 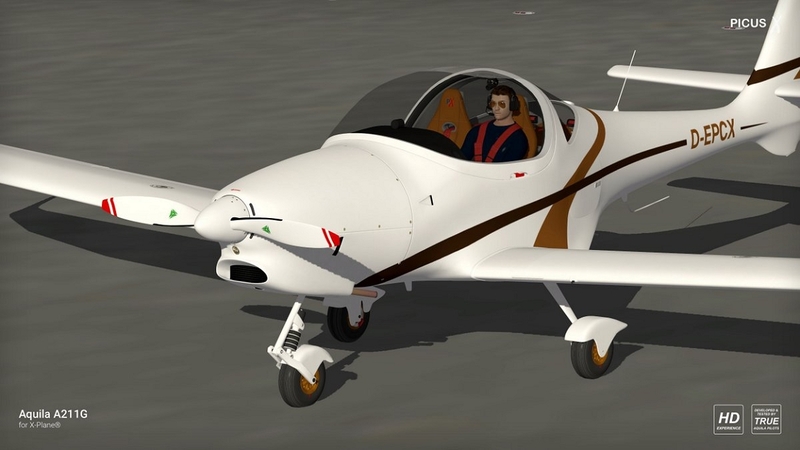 It is equipped with a Rotax 912S 100hp engine and a MTV-21 constant speed propeller. 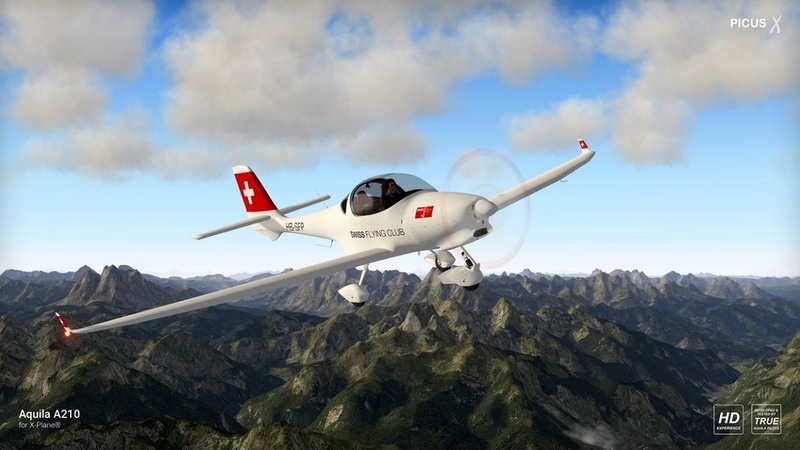 The original Aquila aircraft is built in Germany. 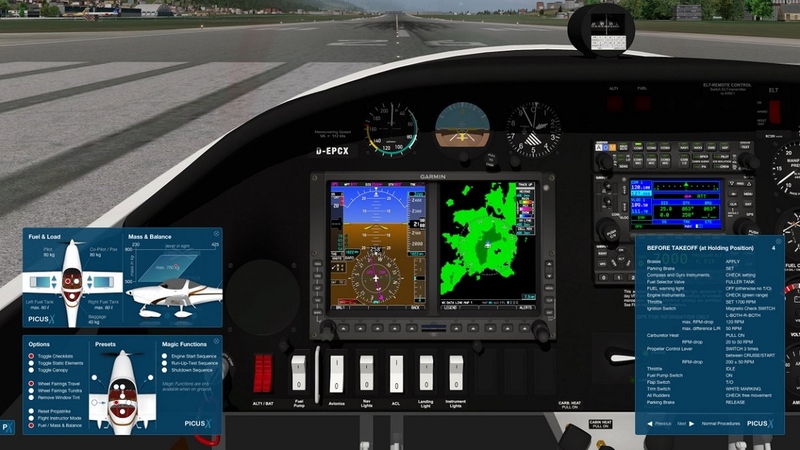 With its™s sleek design, the modern interior, state of the art avionics and a MTOW of 750kg it is a popular and cost efficient Training and Travel Aircraft, which blossoms into THE basic trainer aircraft in flight schools and flying clubs throughout greater Europe, Australia and Russia - it even gets popular in the United States. 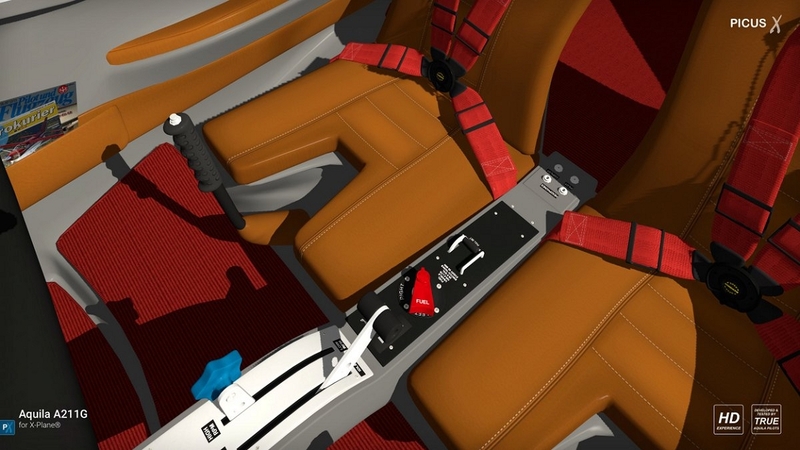 The Aquila you are going to fly is developed by a passionate real world Aquila pilot. 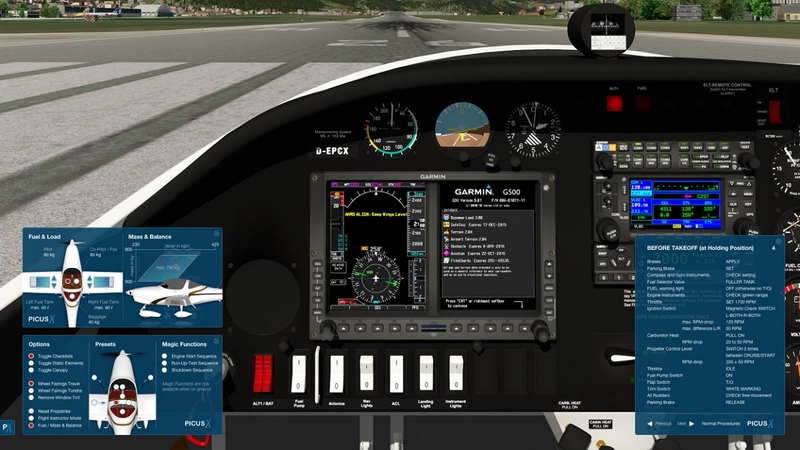 All objects, textures and functions are custom crafted with love for this great airplane. 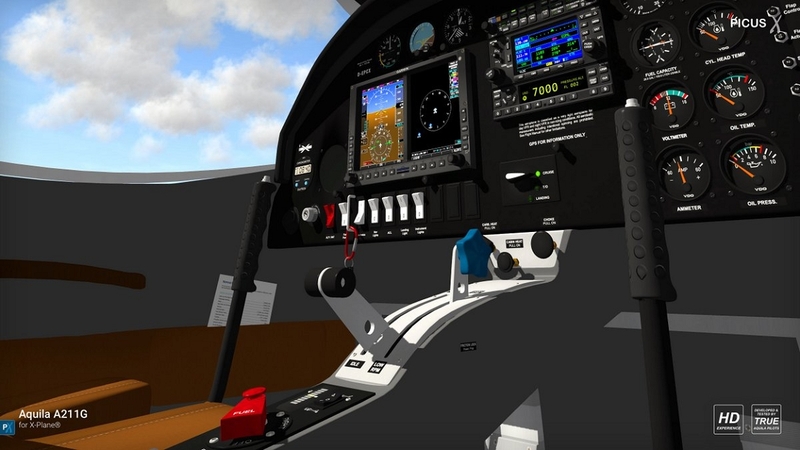 In-depth modelling of many details, based on comprehensive original technical manuals as well es testing and fine tuning by real world Aquila pilots from all over the world aim on providing an ultra realistic experience for you. Fly like a Pro!